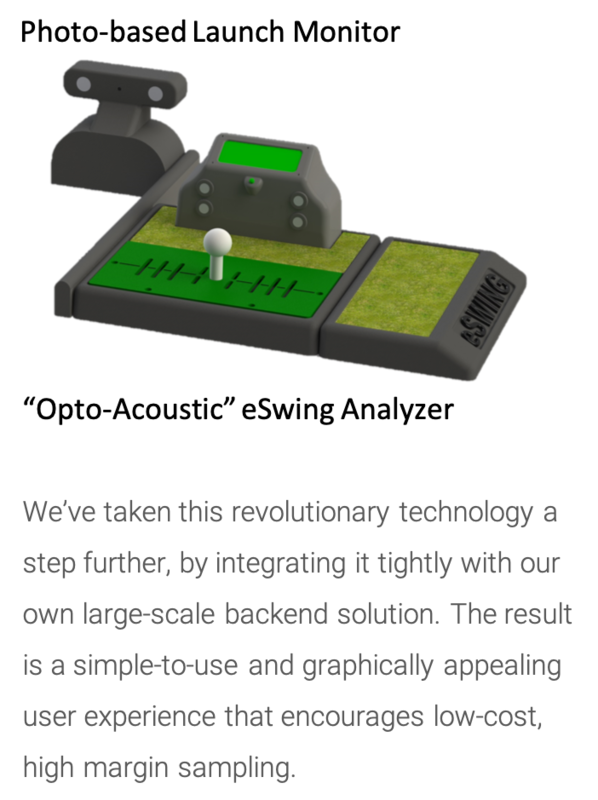 eSwing is a web-based golf swing analysis application and hardware system designed to improve player performance through extensive data gathering and exhaustive swing analysis using eSwing rental hardware units installed at driving ranges and golf course practice facilities or personal devices sold directly to eSwing players. eSwing’s hardware will be used by Teaching Professionals and Club Fitters to offer instruction and select equipment best suited for the golfer, as well as by virtual golf enthusiasts to play golf online with buddies anywhere in the world, unconstrained by miles of separation, time of day, weather, or the significant cost of traveling to and playing the best golf courses in the world. 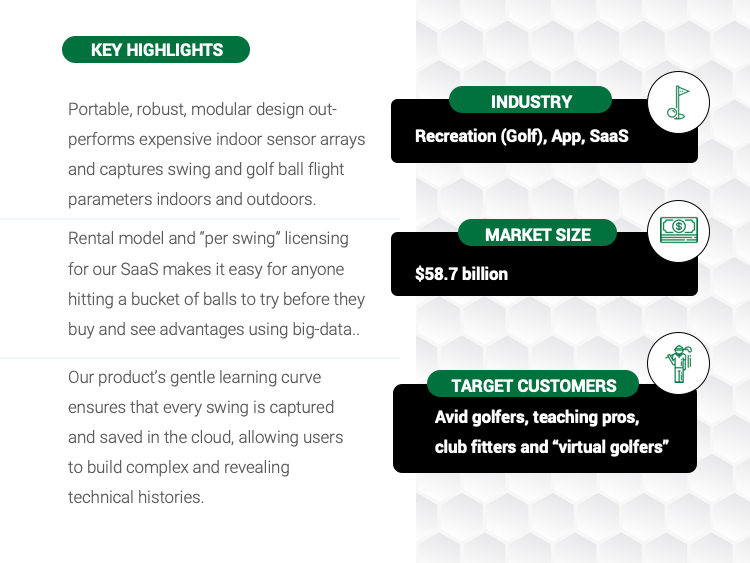 Frequent-user access (primarily by avid golfers, playing 25+ rounds annually) to our cloud-based software will generate our largest recurring revenue stream. It’s well known that data analysis, especially in today’s tech crazy world, can lead to performance improvements in sport. However, accurately capturing data for a golf swing (club head speed, face angle, and club path angle), measuring observed ball flight parameters for the shot (launch angle, ball speed and spin rate), and integrating current or assumed weather conditions (temperature, barometric pressure, relative humidity, and wind speed/direction), can be very tricky. 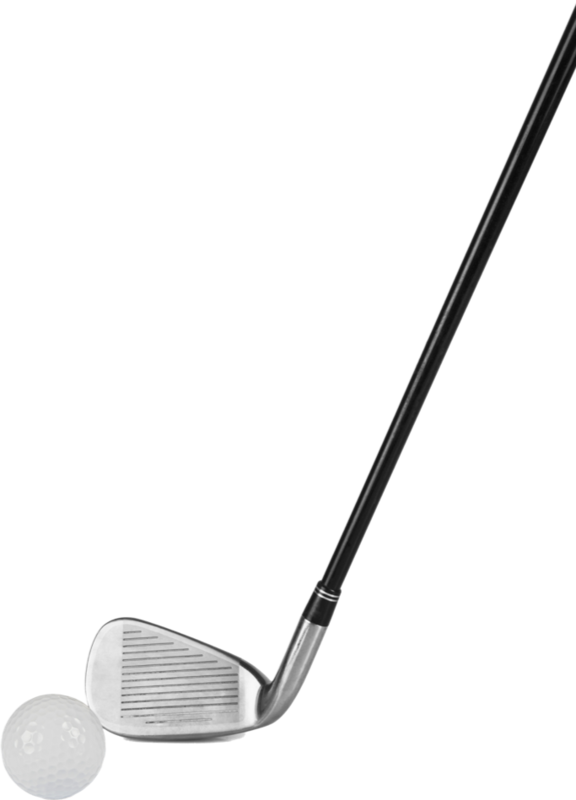 The high speed and small size of a golf club head and a golf ball make data accuracy a challenge to enable detailed analysis. 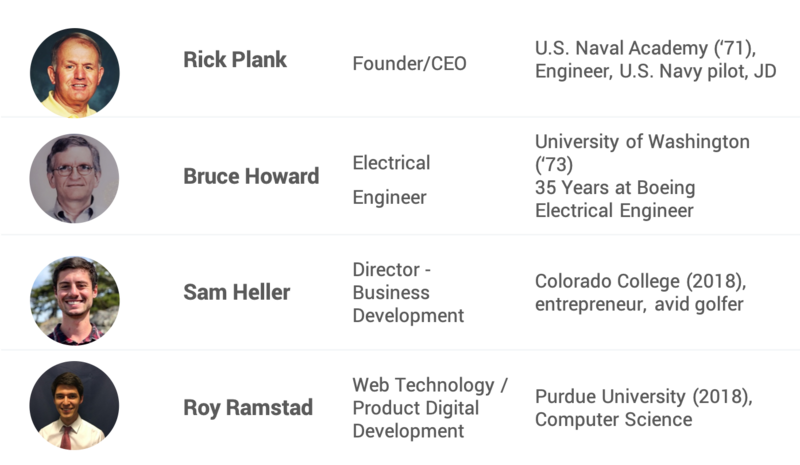 Current solutions to this problem rely primarily on laser, light-based or expensive radar technologies. This makes a certain amount of sense: light is very fast, and it can focus on very small targets. 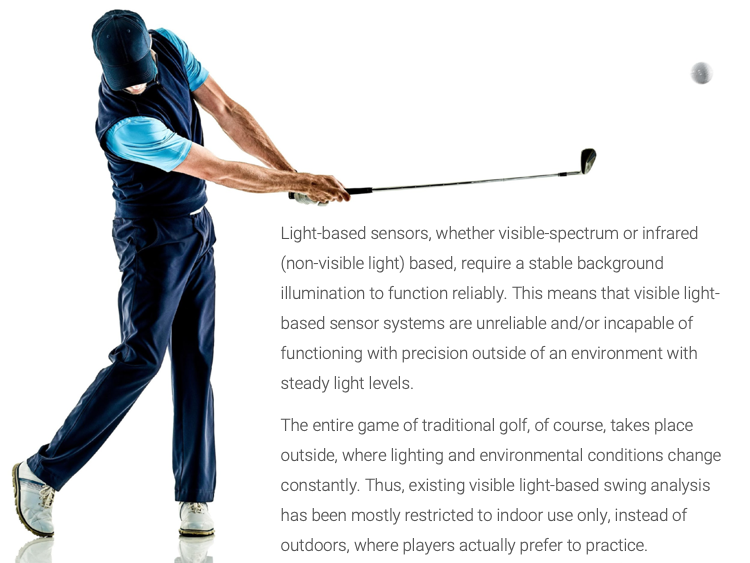 Light sensors, however, create their own problems, especially when used to quantify a golf swing or ball flight trajectory. 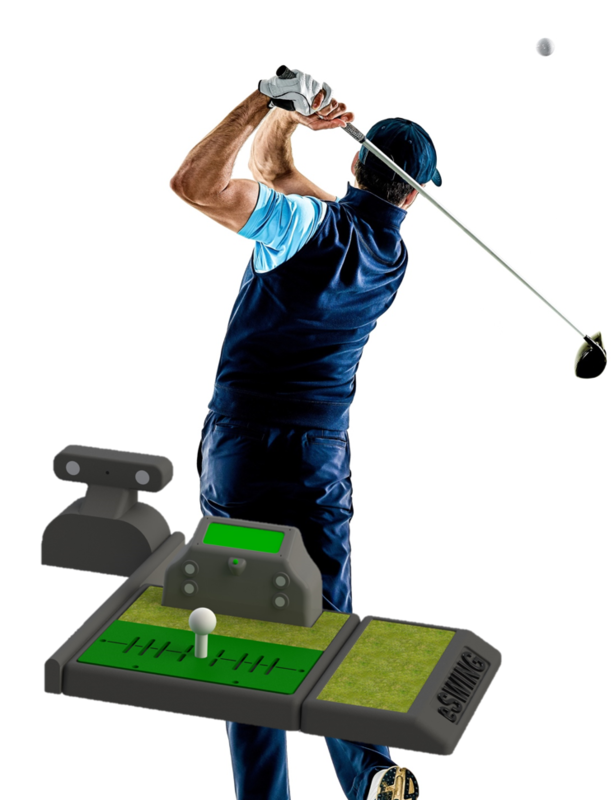 Our solution for an accurate, affordable and reliable analysis system is a Swing Analyzer hardware platform, incorporating patented pulsing Infrared and ultrasonic technology to “see” the clubhead at impact during a golf swing. An integrated Launch Monitor, using high speed digital camera technology, captures an image of the golf ball as it flies off of the tee and past the camera. By eschewing visible light as the primary sensory medium, we are able to capture better data, faster, with a lower-cost capture unit indoors and outdoors. eSwing’s Stance Base raises a player’s feet to the same height as the eSwing Analyzer’s hitting pad (2” high) if you don’t have a stance mat to use at home or in your office. 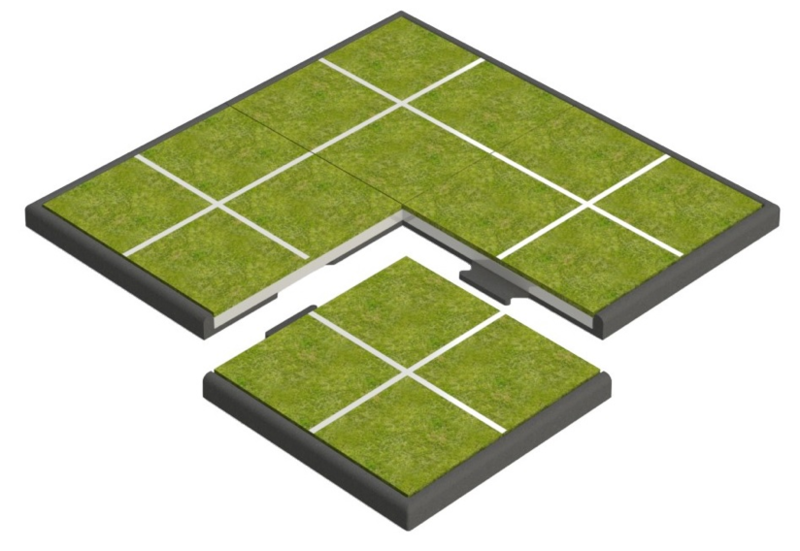 The portable non-skid base (42 inches square) is formed from four (4) small rubber bases and turf (each 21” square) that interlock with dovetail connectors. The gridded turf ensures proper stance alignment to the selected target line and proper feet placement relative to ball. The portable stance base stores in a sturdy carrying case approximately 22” x 22” x 8” with a strong carry handle. 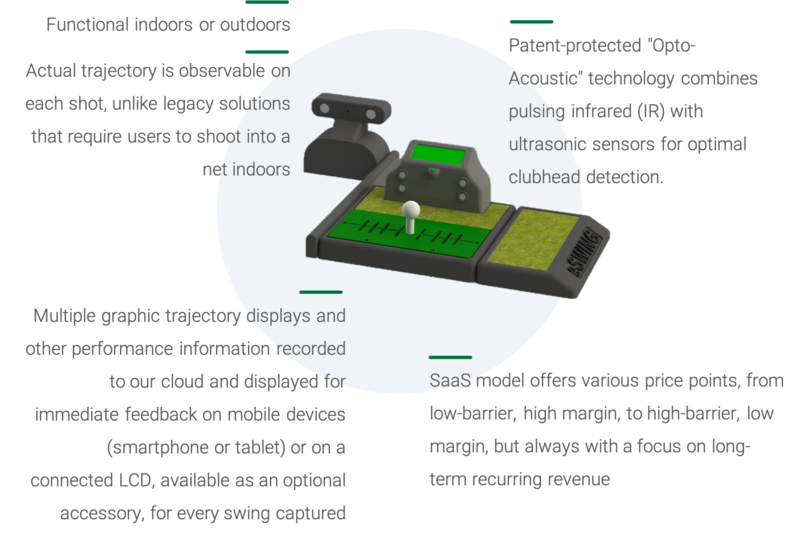 A browser-based SaaS model, built around eSwing’s sensor platform, positions our hardware for installation as rental equipment at driving ranges and golf course practice facilities. 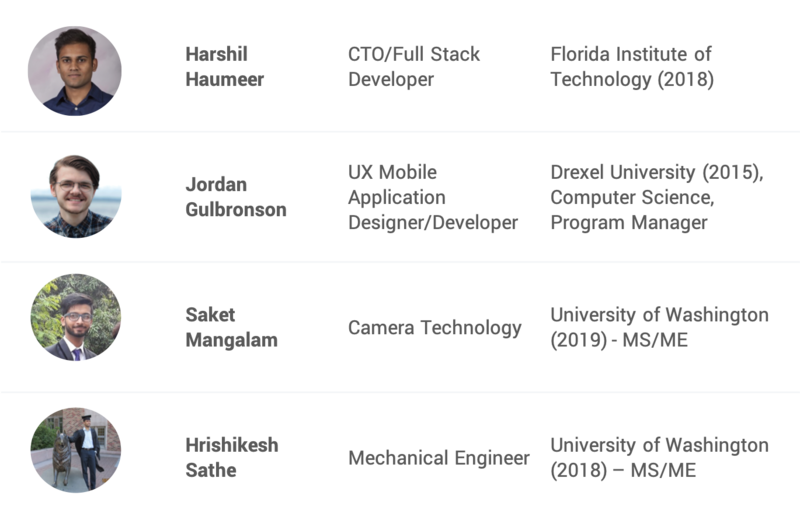 This substantially decreases front-end capital costs for full-unit buyers while maintaining a recurring revenue stream if they use it regularly or share access. 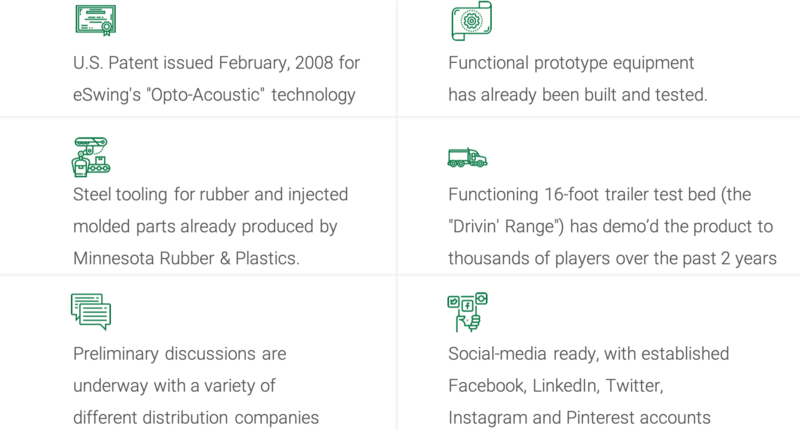 In short, we have a better sensor platform, with greater flexibility, and we’re deploying it with a web-based software licensing model that begins at $3 per 100 shot credits ($0.03 each); your first 100 swing captures are free. 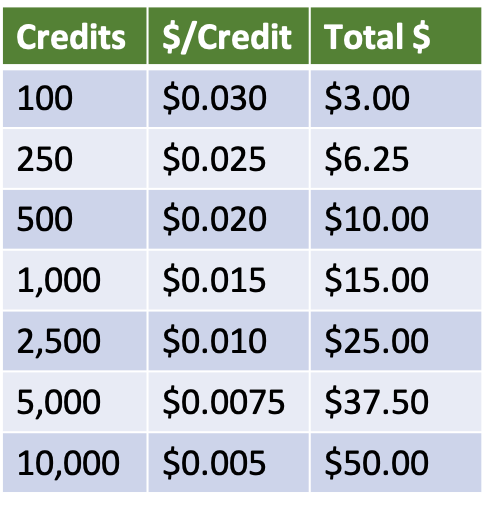 The price for additional shot credits varies with the quantity of shot credits purchased. 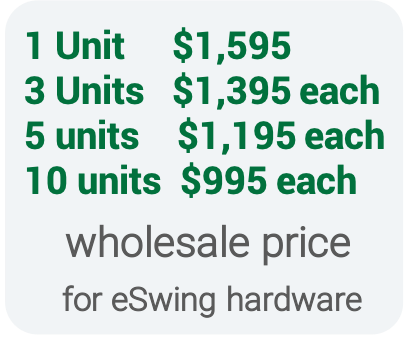 The bundled wholesale price for eSwing hardware (bundle includes Swing Analyzer, Launch Monitor, and Stance Base) into the golf industry (to Teaching Pros and Club fitters, for installation as Rental Units, and for retail sale in Pro Shops and big box stores to individual buyers) will vary by purchase quantity. 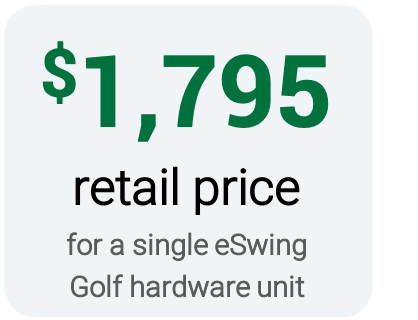 Retail price for a single bundled eSwing Golf hardware unit (including Swing Analyzer, Launch Monitor and Stance Base) is $1,795.